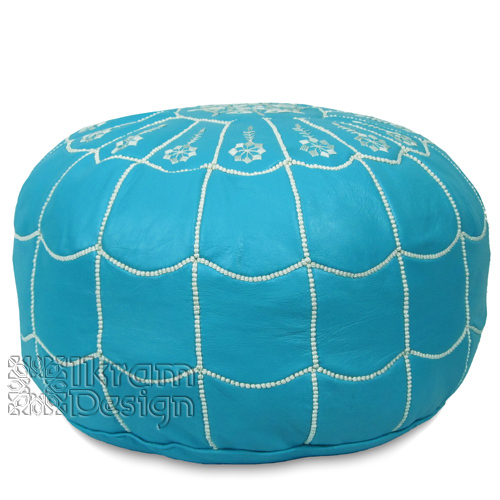 This gorgeous turquoise Moroccan pouf is not only comfortable, handmade, and bright. The color is vibrant and out of this world. It will certainly make people look twice. It will make the perfect addition to any conservatively decorated room, or it can be a lovely enhancement to already bright décor, this pouf works in any room around the home and is sure to delight kids and adults alike.